Marriage equality campaigners have slammed as “desperate” a new push from conservative MPs to hold a voluntary postal vote on marriage equality instead of a free vote in parliament. News Corp reported on Monday that conservative MPs had discussed the feasibility of holding a plebiscite via a postal vote. According to the report, the plan would involve the Australian Electoral Commission mailing out ballots to voters who could voluntarily return them if they wished. The postal poll would not require legislation, and would sidestep the Senate where the government’s plebiscite legislation was blocked last November, a move the MPs acknowledged could create public anger. “Voters actually want the parliament to have a vote on it and for it to be resolved,” he said. “It would be seen as a pretty sneaky and underhanded way to do it, bypassing the parliament. Veteran marriage equality campaigner Rodney Croome agreed, and said the new plan would be worse than the original plebiscite because there would be less parliamentary oversight. “The fundamental problem the Australian LGBTI community had with a plebiscite was the damage and division that would result, and this proposal doesn’t change that at all,” he said. “Our campaign is focussed on achieving marriage equality through a free vote in parliament. Polling commissioned by Australian Marriage Equality this week found that 40 per cent of Coalition voters in 12 conservative electorates are less likely to vote for the Coalition if they continue to block a parliamentary vote on marriage equality. More than half of the voters polled went as far as calling the government “out of touch with the community” on the issue. 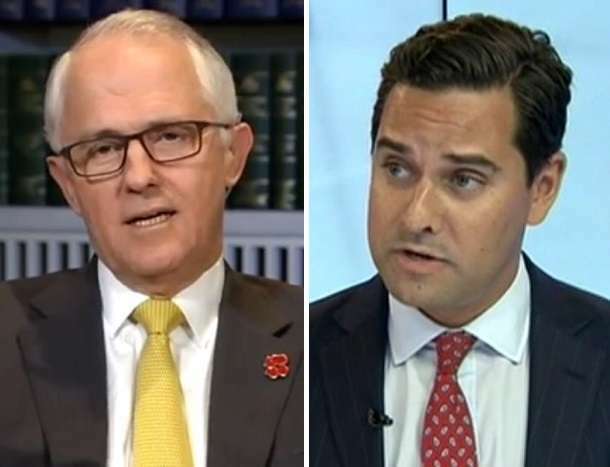 In response to the letter Mr Turnbull called on Labor opposition leader Bill Shorten to support the government’s marriage equality plebiscite which was widely criticised as expensive and divisive.